Guitar Heroes is a landmark one night only, no edits live “guitar extravaganza” cd that proves passion for music has no restrictions. The guitar work on this cd by James Burton, David Wilcox, Albert Lee and Amos Garrett is off the chart natural and unforced. Whether it’s an original song like Wilcox’s Bad Apple, the instrumental Coming Home Baby or the classic That’s All Right Mama it’s all done with a respect for what live music is supposed to be. Amos Garrett and David Wilcox come up with unexpected bends and solos that defy category and make you grin from ear to ear. 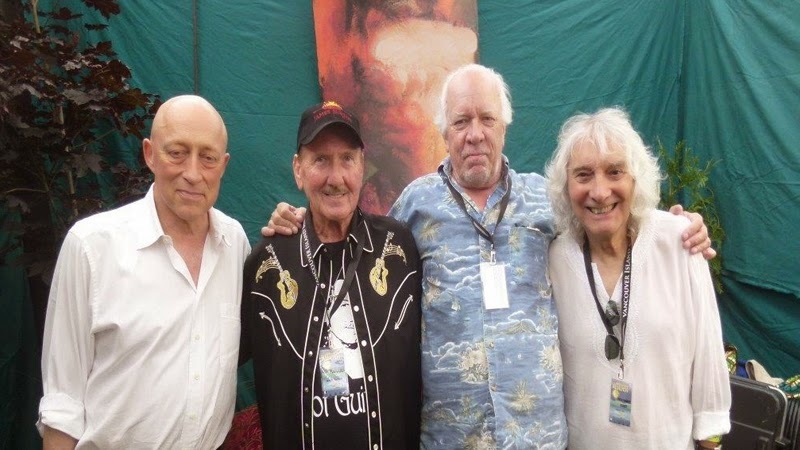 James Burton and Albert Lee take more than a few chances, while still retaining the sound you fell in love with in the first place. On the over 7 minute cover of Ray Charles’s Leave My Woman Alone everyone rips and trades licks. And yes it’s never a mess. For fun, the band ends with a quick 10 second nod to Eric Clapton’s Layla. Again readers, this is a GUITAR featured album. Absolute fave track has to be the gorgeous Only The Young. You may remember the track from The Ventures and the Ricky Nelson vocal version from the mid 60’s. Make no mistake…Great support band with Jon Greathouse, Will MacGregor and James Harrison Smith. Crank this up at your next BBQ!! THE BAND’S music is here. Peter Sabourin aka SAB was not afraid to live his dreams. In his dreams he could possibly become an award winning commercially successful artist. And let’s be very clear. Sab was an amazing frontman and force of nature. Yet in this dream, he could take care of his family, his friends, and tour the world like other musical icons. But, Sab became much more. The hero of other’s dreams. I’m talking about children who grow up now having a dream. Believe me I see it in the face of my grandson James. He has dreams, that I want to help him with. I watched this dream in the faces of seniors who came to Sab’s funeral and may have not known a single song of his. They got it, whether they followed their dream or not. Sab’s dream unified people you may only see and talk with once a year. We were caught up despite our fears, our success, our own lives. It may sound dramatic but Sab’s Dream should remain a lasting lesson. You can go out on your shield, but don’t forget your shield offers protection to others. Sab’s notoriety was his humanity. And believe me, that is a great legacy. john’s radio show/podcast is free on iTunes and can be heard here. 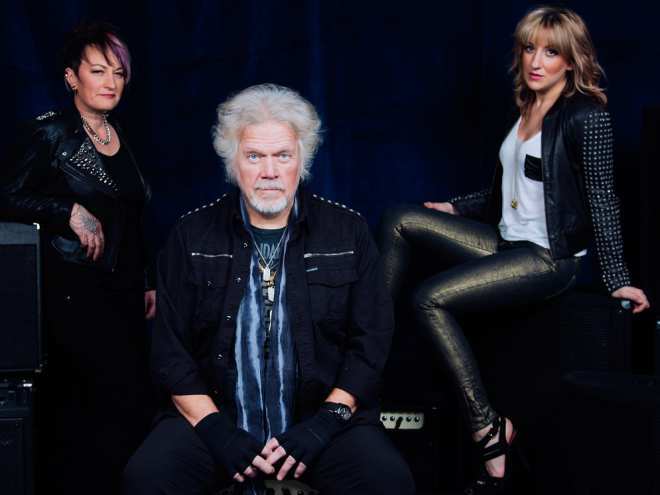 Combining explosive riffs and late 60’s power trio dynamics Randy Bachman re-invents himself and in the process delivers an excellent new album with Heavy Blues. Backed by the vigorous female rhythm section of drummer Dale Anne Brendon and bassist Anna Ruddick the trio rips through dangerous hooks and well crafted songs. Bad Child features guest axe-man Joe Bonamassa flying in a Cream-vibe solo, while Neil Young pinches out harmonic overtones on Little Girl Lost, and then Peter Frampton and Bachman combine on the title track which I could best describe as Humble Pie meets BTO. In one word this album is just plain exciting. Elsewhere, Wild Texas Ride burns high jalapeno riffology, and simply put Ton Of Bricks should be an immediate add to new classic rock radio. 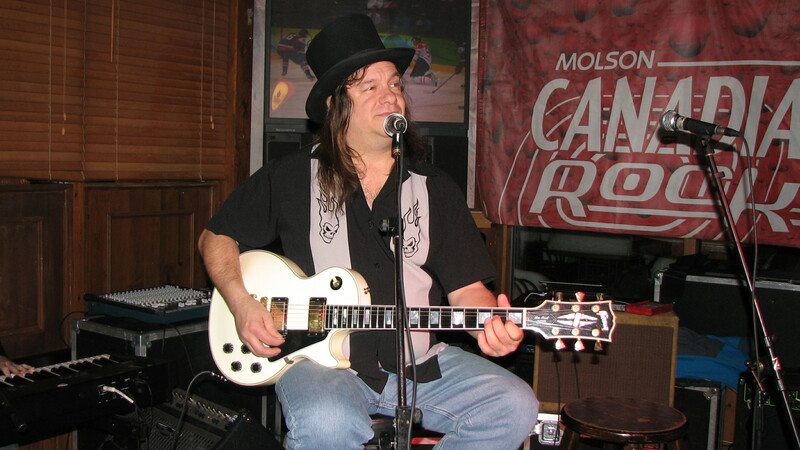 Recorded in one week and produced and mixed by Kevin Shirley, Heavy Blues in undeniably powerful.